A surprising number of boys and men in the UK suffer from a condition known as gynecomastia, which is the development of excess breast tissue in males. Physiologic gynaecomastia can develop in up to seven in ten adolescent boys. Very young babies and adolescent males can often suffer from this on a temporary basis because of “the influence of maternal hormones and hormonal changes during puberty, respectively”. Whereas most causes of gynecomastia are caused due to an imbalance of naturally occurring hormones, it has recently been reported that the use of popular essential oils can also lead to the development of the condition. Essential oils are extremely popular and are used widely across many walks of life, as there has been an expectation that they are perfectly safe. Whereas this is the case for many people, the new research suggests that this is not the case for adolescent boys. 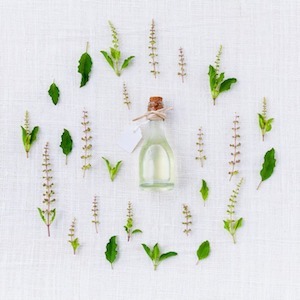 The research report, presented at the Endocrine Society’s 100th annual meeting in Chicago, ENDO 2018, shows that exposure to essential oils such as tea tree and lavender which can potentially act as ‘endocrine disrupters’. This means that the body can get confused and produce the wrong type of hormones in young boys. Gynecomastia can cause embarrassment and self-confidence issues, especially when it occurs in adolescent boys or men. If you are suffering from gynecomastia and haven’t found a natural way of reducing the severity of the condition, then there are surgical options available that can help. Men can undergo male breast reduction surgery to help deal with the physical shape of their chest, and as long as surgeons are satisfied that their gynecomastia is not being caused by a more serious underlying condition (such as liver disease or a serious endocrine malfunction), then they can begin the consultation process.